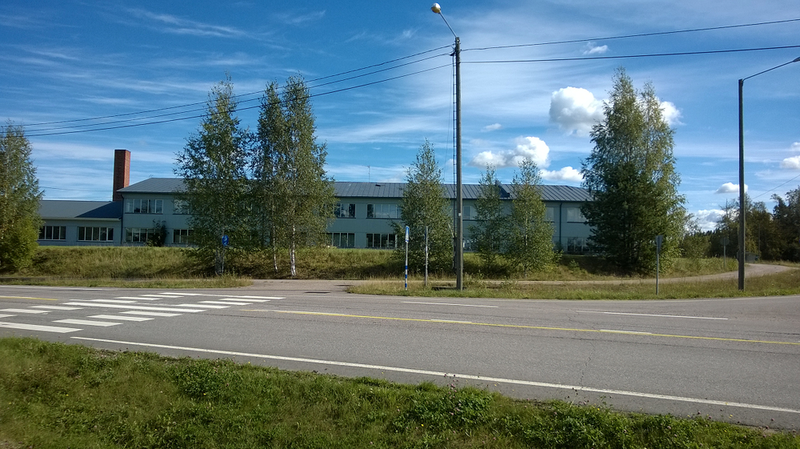 Six months after the move, let me tell you something about how we see things at Onesys Oy, a Finnish-American medtech company headquartered in Finland. Previously we operated mostly in Oulu, Finland, and Minneapolis, Minnesota. Our products were piloted in the respective academic hospital centers. Our successes also greatly benefited from amazing people in both academia and business. We were ready to settle down to concentrate on growing the company rapidly with “a little help from our friends”, and an ongoing directed emission of shares. We found that Myrskylä had all the “right stuff.” And with only an hour’s drive to Helsinki and its international airport, we continue to be personally connected with the world. On a warm balmy day in September, I took a bike ride to town. The new premises of Onesys Oy are in a former furniture factory renovated for modern business, with plenty of space to expand operations. The mile long bikeway to town starts on the right and continues behind me. 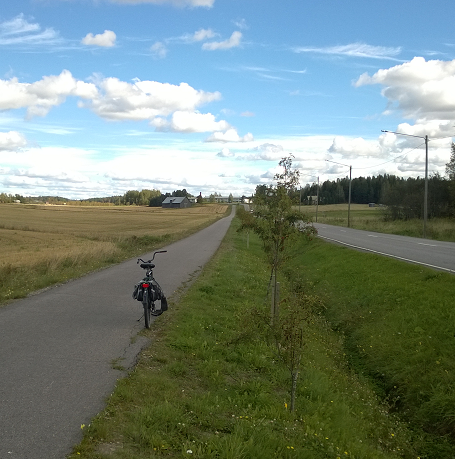 The gently sloping country road and bikeway (on the left) from the company passes through farmland to Myrskylä, a rural town of 2000 inhabitants, a mile away in the distance. Ask yourself: Why was Apple started in Cupertino, California (whose population in 1960 was 3664)? Or Epic Systems in the farmland of Verona, Wisconsin (whose population in 1970 was 2,334). Why did the Mayo Clinic founder settle in Rochester, Minnesota, when its population was only 1824? Nokia also has rural roots though not in its present business line. Apple was incorporated in 1976 by three guys in a garage, while Epic Systems employed one-and-a-half people in 1979. For Mayo Clinic roots, it was only a father and his two sons. Onesys Oy currently employs a father and son and rides on the successes of companies like Apple and Epic, which laid the foundation for the Onesys product line, and of Mayo Clinic which provided the model for our nonprofit medical services. Let’s get back on the bikeway. On the way to town, on left side of road and bikeway, you can see the beautiful Church Lake (Kirkkojärvi), featuring perch and walleye, and the land appropriated for residential development. Why the tractor (to the right of center)? Well, he is mowing paths between targets as, at the moment, the land hosts a Frisbee golf course. 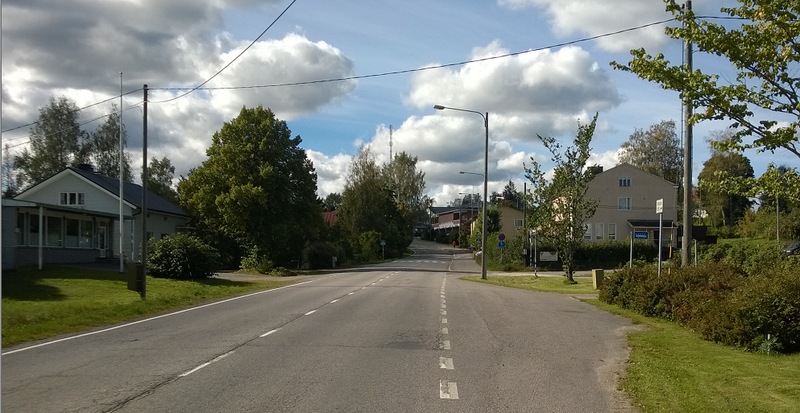 In the center of Myrskylä, you find a genuine rural town with a museum, church and parsonage, schools, a workout gym, two restaurants, two banks, a grocery store, the town hall and library, drugstore, physiotherapist service, post office, flower shops, barbers and stylists, surrounded by farms. There are over 100 local businesses in the Myrskylä area—and Onesys Oy. On the way back to work, with Onesys Oy in the distance, you cross the intersection with Master’s Avenue to the left, the master of course being four-time Olympic long distance running champion Lasse Viren, the hero son of Myrskylä. A long row of mountain ash trees was planted between the road and bikeway to honor veterans of Finland’s World War II battles, on the 60th anniversary of the end of the war. Looking at the row of trees, childhood experiences with my Gilbert Chemistry Set taught me to note the signs of a deficiency of potassium in the soil: stunted growth and discolored leaves. Many of the trees did not even survive. Someone has to fix the situation, as someday with replanting of some trees and appropriate soil treatment this will be an impressive lane indeed. Onesys Oy is at the tip of the mile long bikeway. My trusty bike is an ordinary Oiva with saddle bags. 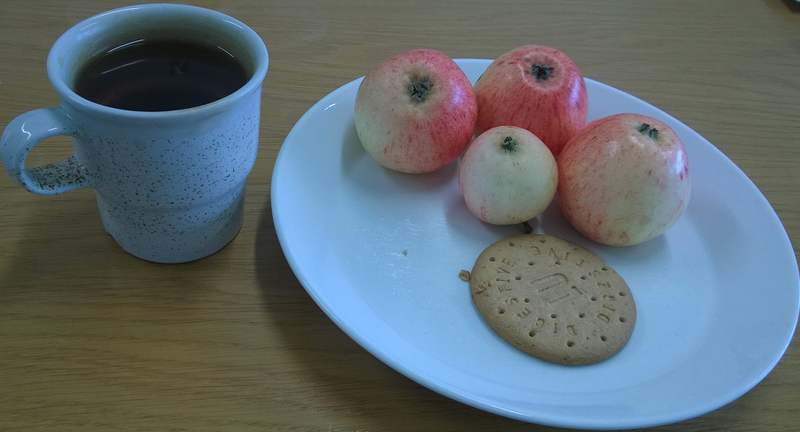 At the end of the bike trek, a few apples grabbed from the company tree, some Digestive cookies and a cup of tea, remembering Steve. We are set to go.